A Weak Mobile Signal – It’s Easy To Boost! Home Gadgets A Weak Mobile Signal – It’s Easy To Boost! It is hard to imagine the existence of modern man without a mobile phone. The cell phone is an opportunity to be always connected, always be aware of the latest news. A man quickly gets used to all that is good for him. Thus, the possibility to be always in touch we used almost immediately. And the harder to put up with situations where the tube in response to a call to a friend, you hear dry official voice that “the subscriber is out of range.” And the fact that this network is appeared in our lives recently nobody will care, you need that your interlocutor always is in an access zone. And consumers offered a new product – a mobile phone repeater. 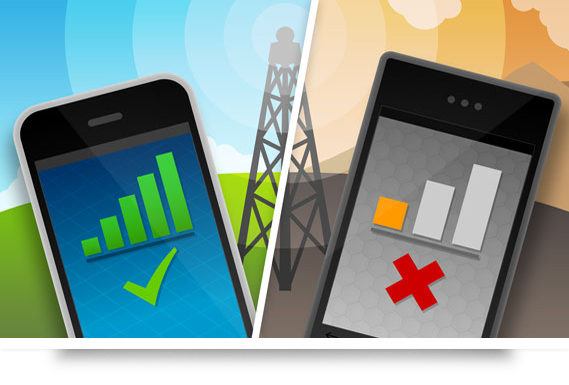 What is a cellular or Mobile signal booster? This is a special device that is designed to amplify the signal of the mobile base station. In other words, it’s an mobile phone amplifier, which is used to stabilize the signal reception, and that allows you to forget about the hindrances during your cell conversations. The mobile amplifier improves the quality of reception by changing the geometry of the received signal, as well as the radiation pattern. This device sends electrical signals to different parts of the cable with an external antenna to the internal antenna and the signal is restored and strengthened. 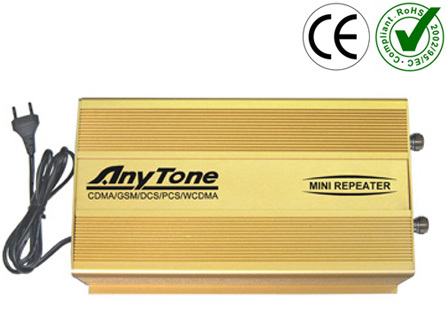 The mobile amplifier allows adjusting the communication also when the accepted party appears in territory which is out of a network zone, outside of service of mobile base station. Many owners of country houses and summer residences, which have been essentially kept away from mobile base stations, have got acquainted with this situation. But even the city dweller need to buy the GSM repeater – often ground floors in the buildings, surrounded from different skyscrapers, also appear out of a zone. In this case the reason is not the distance, but metalware, overlapping; because the mobile signal badly passes through them. However the mobile amplifier easily resolves this problem. By installing the mobile signal booster or you can say GSM Signal Booster, you can forget about all of the above problems. Returning to the shortcomings of cell phones, you must also think about your and your relatives’ health. Doctors around the world say about the harmfulness of electromagnetic radiation on human health. Of course, the developers are trying to lower power emitters, but this is not always possible. Long talks via mobile phones lead to increase the cancers of the brain – a fact proven by medical research. Also the recent studies have shown that suburban residents suffer from cancer higher than urban residents. The reason is a bad cell signal and the fact that few of them know about the mobile signal booster. The farther a cell phone is from the mobile base station, the weaker signal it receives, and the more power it needs to invest in the output signal. So the habitant in “dead zones” gets a big dose of electromagnetic radiation than those who have never encountered problems with the mobile provider. Therefore, the GSM amplifier is not only a great opportunity to forget about problems with cellular communications, but also it protects your health. If you have more knowledge about Mobile Signal Booster for Home then you can share with us via comments below.